A widower and his family had been hoping to hold pharmaceutical companies liable for the death of 67-year-old Sharyn M. Orr. The family had filed a lawsuit against Johnson & Johnson and Bayer, alleging that the defendants’ drug Xarelto had caused Orr’s fatal brain hemorrhage. Attorneys for the family claimed that the woman’s death was “completely avoidable,” and that if the defendants had issued adequate warnings, Orr would still be alive. 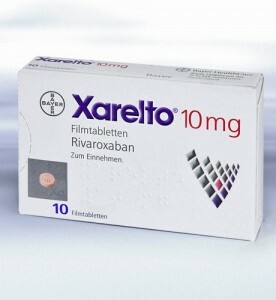 Xarelto belongs to a newer generation of blood-thinning medications. They’re intended to make this treatment more convenient for patients, who would otherwise need routine blood monitoring and dietary restrictions while taking warfarin. One major downside of these newer blood-thinners is that they lack an antidote that doctors can administer in the event of emergency bleeding situations. About one year after she first began taking Xarelto as prescribed, Sharyn Orr suffered a stroke—the exact health problem that Xarelto is intended to prevent. She died in May 2015, just 10 days after her stroke. Her surviving family members alleged that Xarelto caused her brain hemorrhage and it forced doctors to wait 12 hours before performing emergency surgery, due to the risk of uncontrollable, fatal bleeding. The delay in treating her stroke is what caused her death, claimed her family. They further alleged that if Orr hadn’t been taking Xarelto, doctors could have performed the potentially life-saving surgery right away. The Orr case was the second bellwether trial in the multidistrict litigation (MDL), which has centralized thousands of similar cases in a single federal court. The MDL is being overseen by Judge Eldon Fallon in the U.S. District Court for the Eastern District of Louisiana. The rest of the bellwether trials are scheduled throughout the remainder of the summer. The purpose of bellwether trials, which are the initial pool of trials in an MDL, is to allow all parties to assess how juries are likely to respond, given certain evidence and testimony. By joining an MDL, plaintiffs do not give up their right to an individual trial by jury. The outcomes of the bellwether trials are not binding on any other case. If negotiations between defendants and plaintiffs in the 18,000-plus Xarelto lawsuits do not resolve in settlement agreements, the cases will eventually be remanded to their home districts for trial. The first bellwether trial in this MDL also resulted in a verdict in favor of the defense. The jury decided that the plaintiff, Joseph Bourdreaux, Jr., had not met the burden of proof.